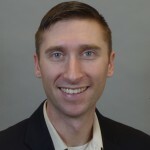 DRI Welcomes Former Army Officer, Randall Moores, as Project Manager - Direct Recruiters Inc.
Randall joins the Direct Recruiters team directly from the US Army where he was a Captain and Logistics officer. He brings with him a unique blend of leadership, team building and great communication skills. Randall works with Tom Clark to source top talent across the supply chain industry to fill positions in top tier companies across the nation. Randall is driven to succeed in all situations and loves solving complex problems in a high tempo operational environment, skills he learned during his time in the military and two deployments to Iraq. Prior to joining Direct Recruiters, Randall held numerous leadership and staff positions from Platoon Leader, Aide-de-Camp and Company Commander. His most rewarding experience was leading and working alongside America’s sons and daughters to accomplish a common mission: providing world-class logistics support to the warfighter. Randall grew up on the east side of Cleveland, Ohio in Willoughby Hills and is a 2007 graduate of John Carroll University in University Heights, Ohio. He is a distinguished honor graduate of the US Army’s Combined Logistics Captains’ Career Course at the Army Logistics University, Fort Lee, VA.
Randall and his wife have two children. Outside of work, Randall enjoys spending time (doing more work…) on his livestock farm in Ashtabula County, Ohio with family.